Say hello to the aviator with attitude. Blake gives you the iconic look with a bold twist on the bridge shape, while the custom etching on the outer edge sets you apart from the rest. 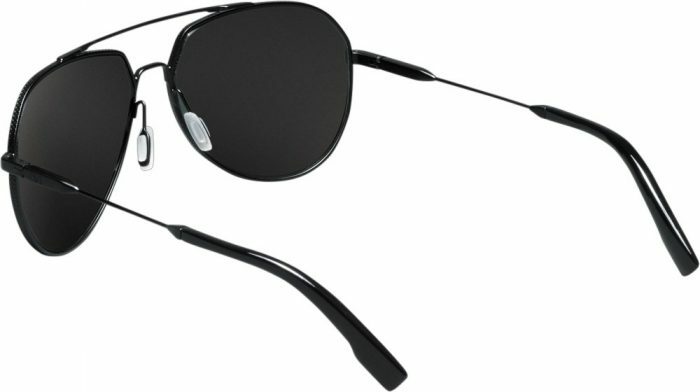 Are you ready for an aviator that takes the classic look to new heights? The frame is formed from aerospace grade Monel metal including adjustable nose pads for a perfect fit. The stainless steel temple arms are mounted with a custom mono block hinge design for added durability. The temple tips are handcrafted from premium Italian cellulose acetate by Mazzucchelli 1849 and give the frame added balance and comfort.